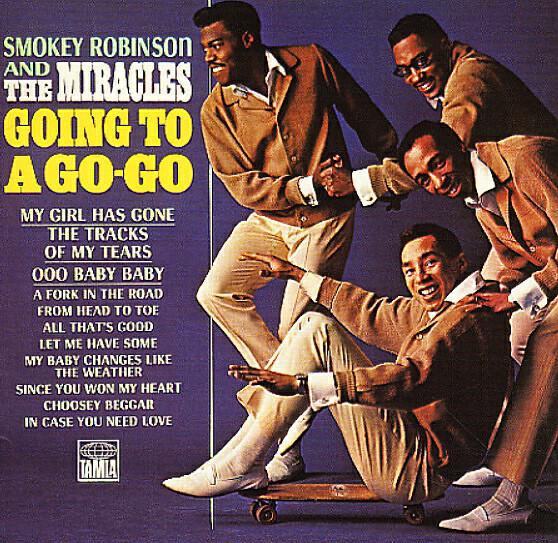 Legendary stuff from Smokey Robinson and his wonderful group – a killer set from the second all-male version of The Miracles – recorded with some wonderfully soaring harmonies! The group's got a nice bite on the bottom here – a groove to go with the "go go" promised in the title – at a level that made these Miracles really take off on Motown dancefloors, yet still also have the late nite appeal of the earlier group too. The album includes the big hit dance number "Going To A Go Go", the classic ballad "Tracks Of My Tears", and loads of other wonderful numbers like "Ooo Baby Baby", "Let Me Have Some", "All That's Good", and "My Girl Has Gone". © 1996-2019, Dusty Groove, Inc.